I first heard about this movie…from a magazine! 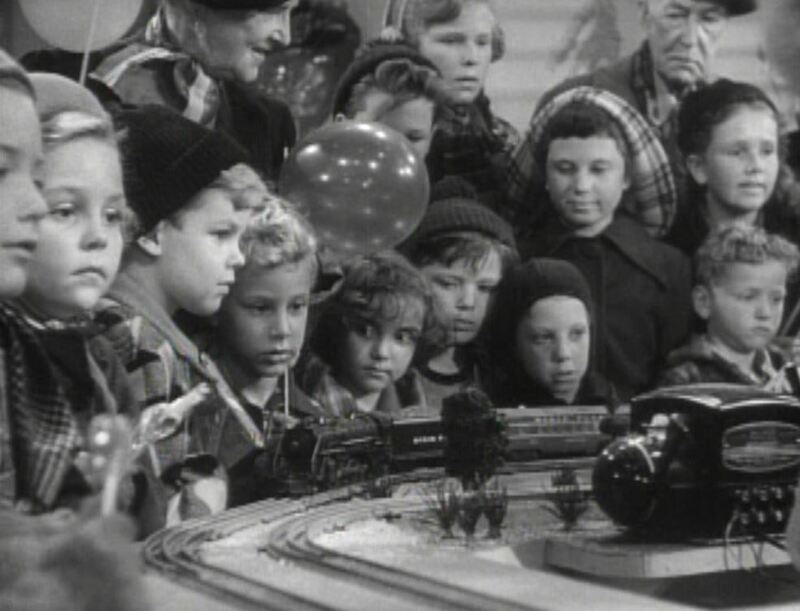 As a long-time subscriber to Classic Toy Trains magazine, I was delighted when my December 2016 issue featured a film which used a Lionel train set as a pivotal plot device. 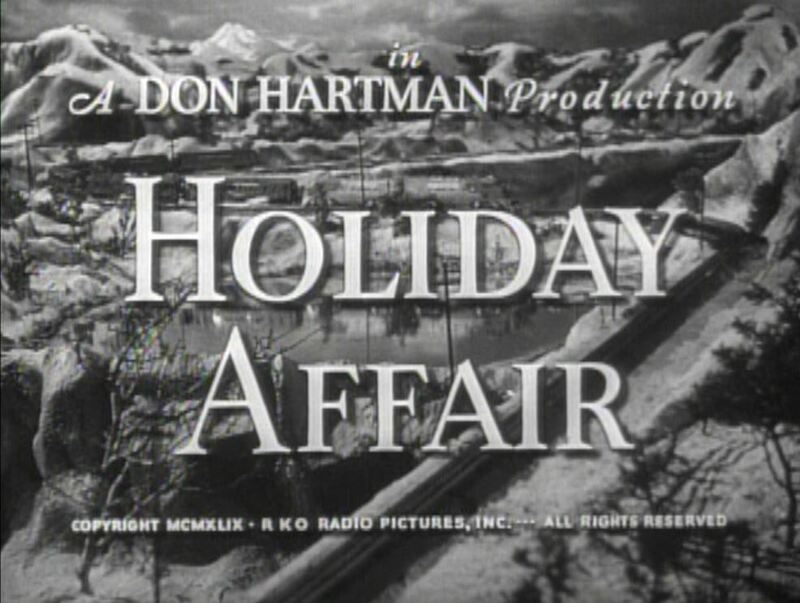 As its title implies, Holiday Affair is a Christmas-themed love story with the twist of a little boy discovering the joy of an O-gauge model train set. 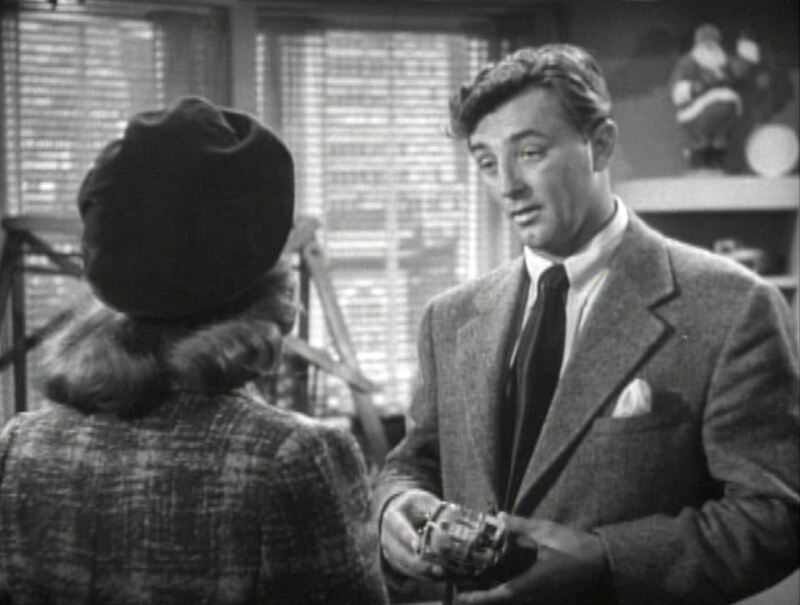 Starring Robert Mitchum, a 22 year old Janet Leigh and Gordon Gebert as little Timmy, the picture is an obscure train movie from the post-World War 2, golden age of Hollywood. I had to get my own copy on DVD. 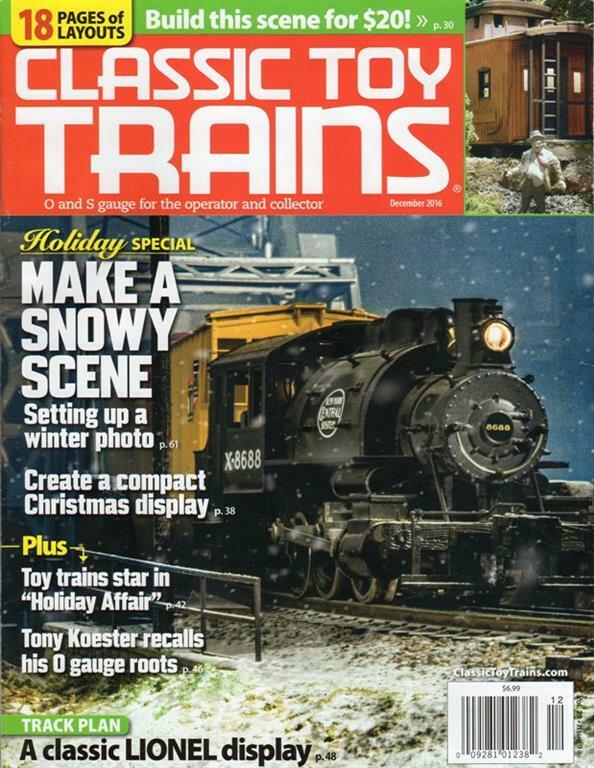 The December 2016 cover of Classic Toy Trains magazine (Edited by my good friend, Carl Swanson) features a well-written article by CTT Senior Editor, Roger Carp about Holiday Affair. 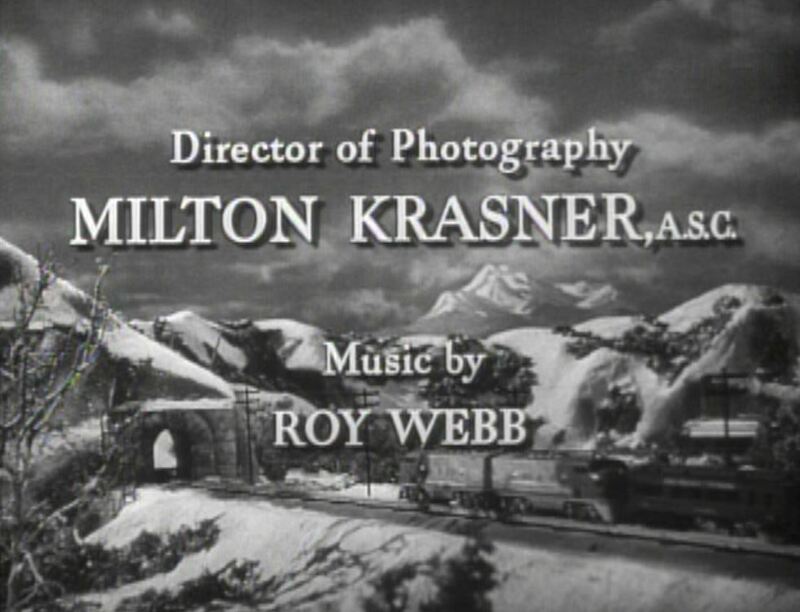 The opening credits feature an elaborate, snow-covered layout which the train winds its way through. 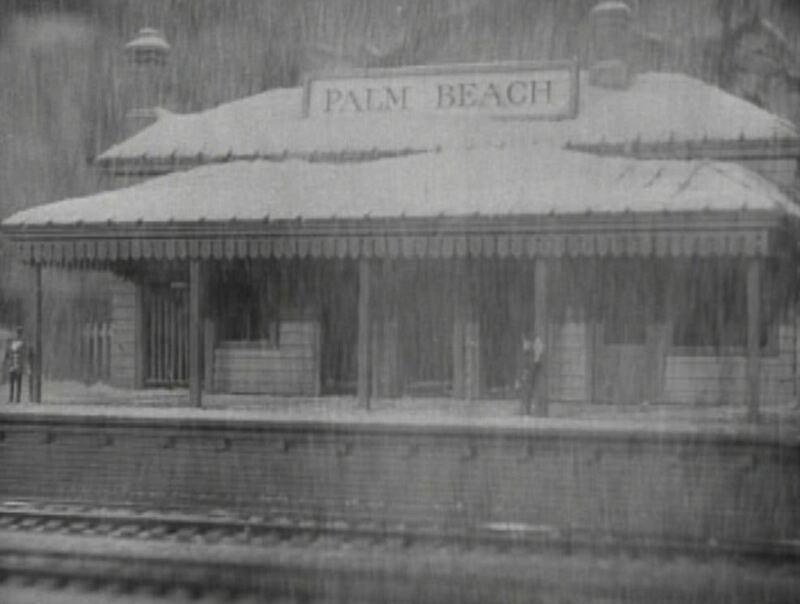 Our story opens at the wintry depot of Palm Beach (snow in Florida? ); Santa Fe’s famous “Warbonnet” scheme F3’s lead the train into the station. 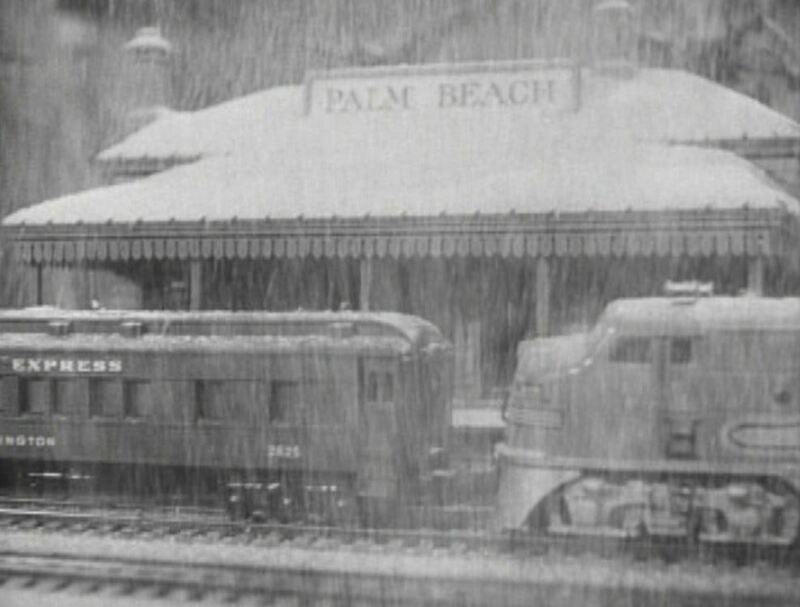 As the camera begins to pull back, we get a good view of the Lionel heavyweight Pullman car #2625, the “Irvington”. 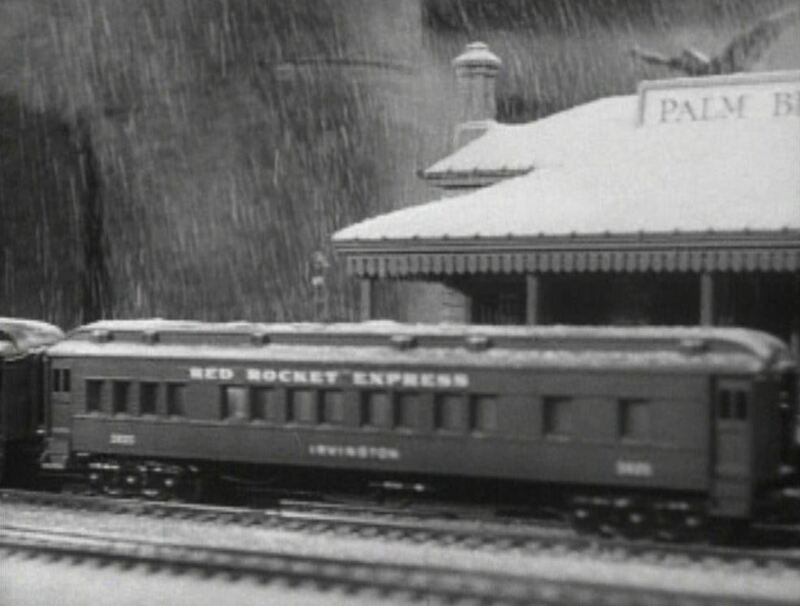 Note the car is labeled as the “Red Rocket Express”. 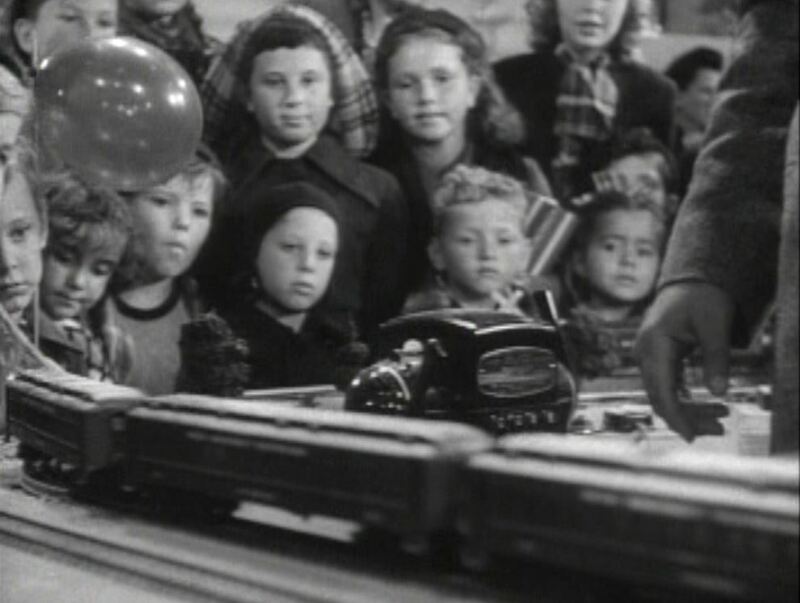 A crowd of little boys is spellbound as the train rolls along. 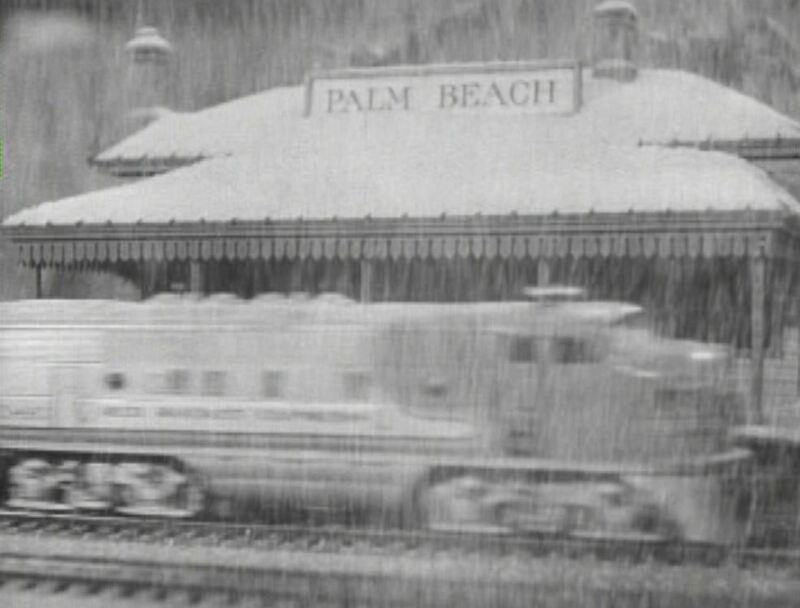 Note the Lionel transformer (which fed electricity to the rails and thus the locomotive); Right behind is a Lionel Lines steam locomotive pulling another string of Pullmans. 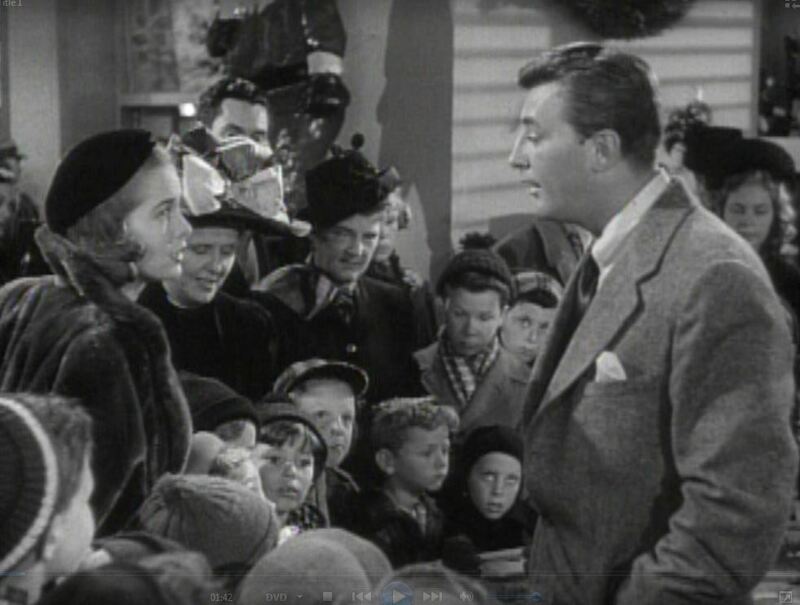 It turns out the snow is provided by Steve (Mitchum) and his box of “Christmas Snow” (soapflakes, perhaps? ); Connie (Leigh) makes her first appearance. Behind Steve, we see “Crowley’s Red Rocket Express”. 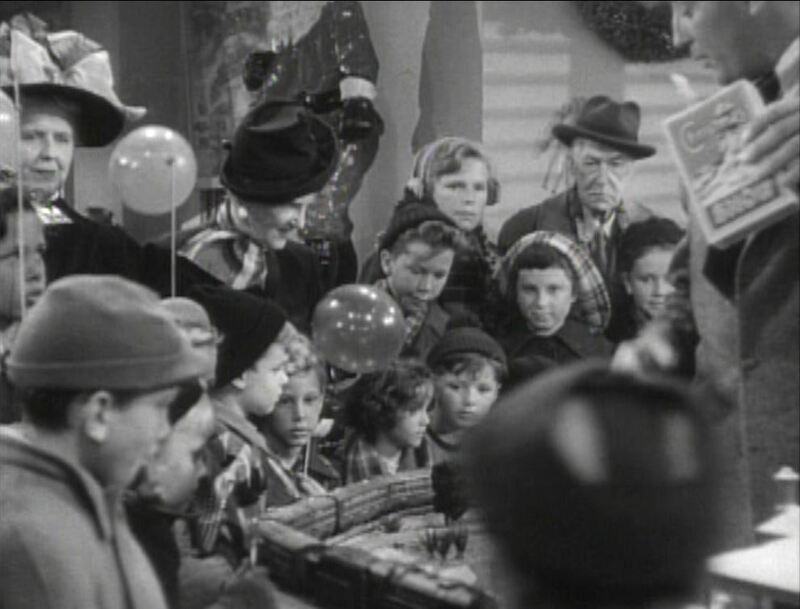 In its heyday, Lionel made custom-made sets for various stores to sell; Connie has exact change to purchase the train set – she is a comparison shopper and intends to return it the next day. 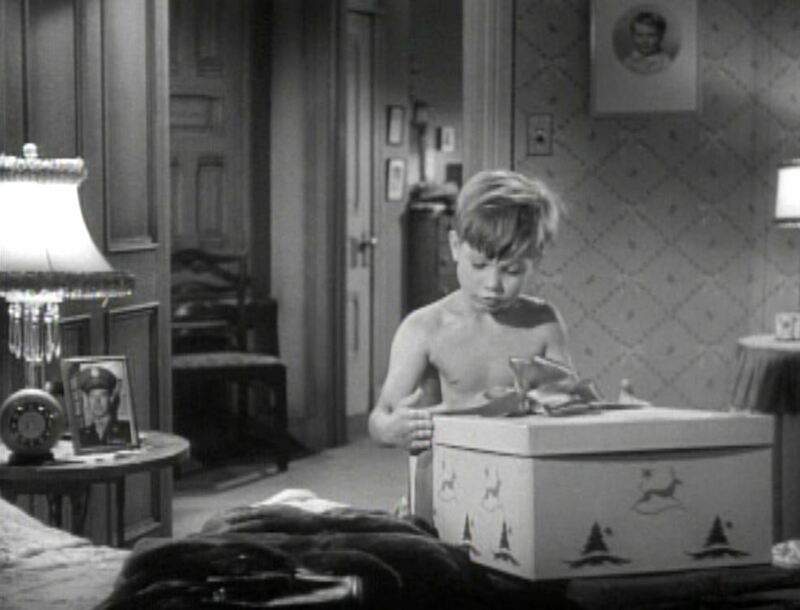 Instead of washing up, Timmy HAS to check out the big box Mom brought home; Holy Jackpot! Is THIS what Mom’s getting me for Christmas?? 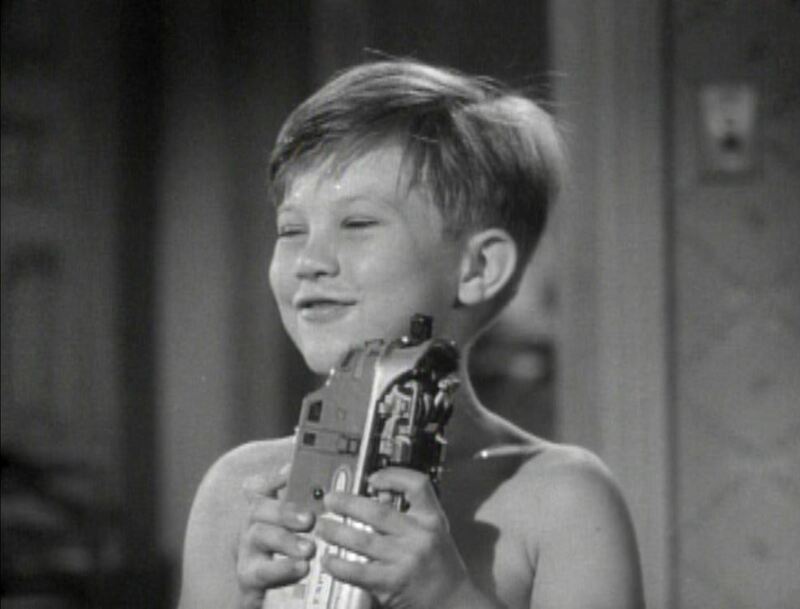 “Red Rocket Express” has replaced “Santa Fe” on the silver flanks of this Lionel #2333 Santa Fe F3 engine; Oooo, yeah! Timmy instantly bonds with the Warbonnet. 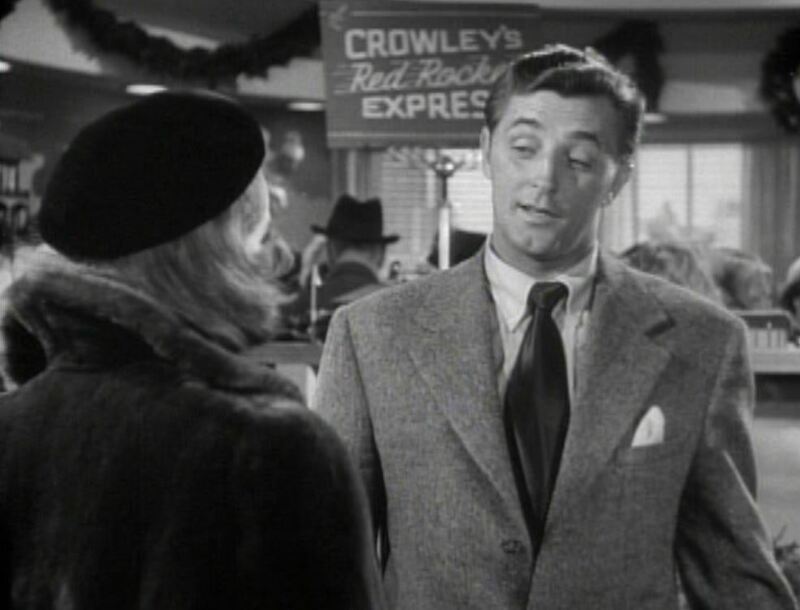 The next day, Connie is back at Crowley’s to return the train set; Steve (fondling the F3) explains that as a comparison shopper, he SHOULD turn her in to store management. He lets her go and subsequently gets fired. 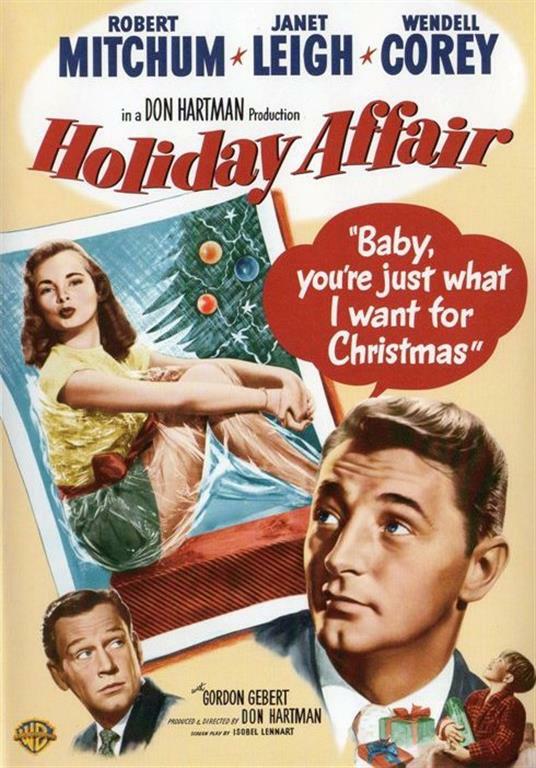 Much plot and love triangle and Mitchum/Leigh smooching left off here. 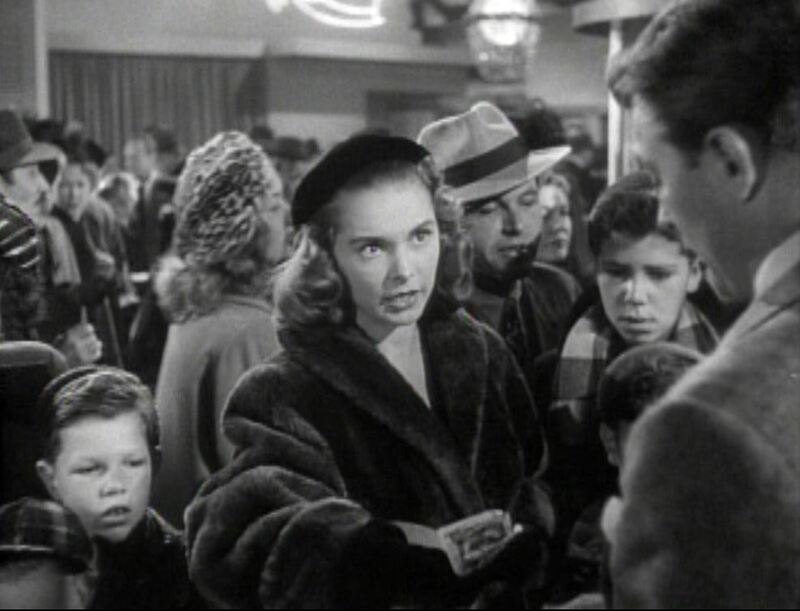 Well, maybe just one of Janet Leigh, Va-Va-Voom! 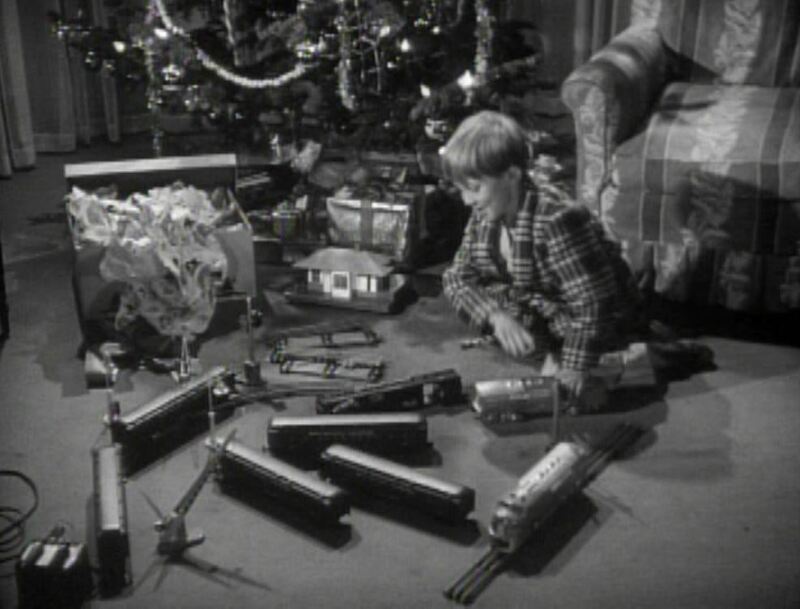 Timmy is ecstatic when he finds the Crowley’s Lionel set under the tree Christmas day; Connie is mystified because she had returned the trains to the store. 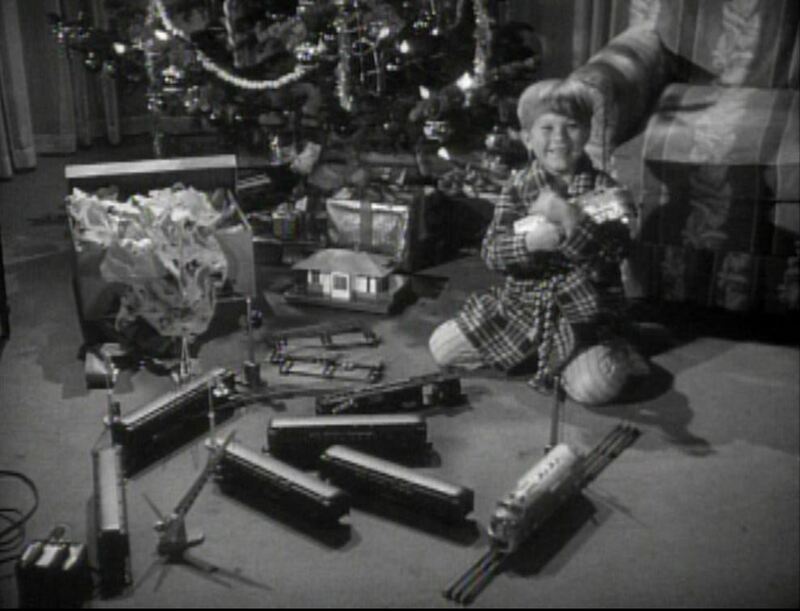 Eventually she discovers the unemployed Steve (who can barely afford it) bought Timmy the train set. 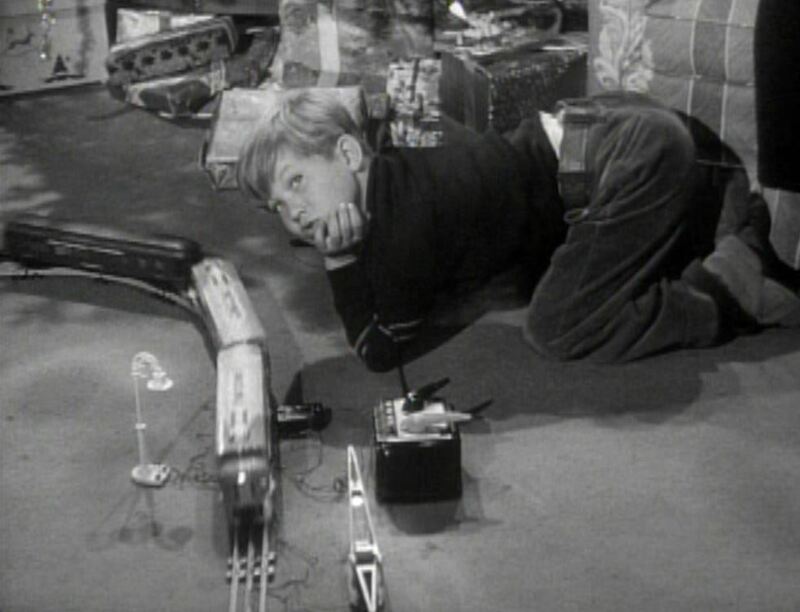 Even Grandpa gets to run the Red Rocket Express; Classic view of a boy and his trains. 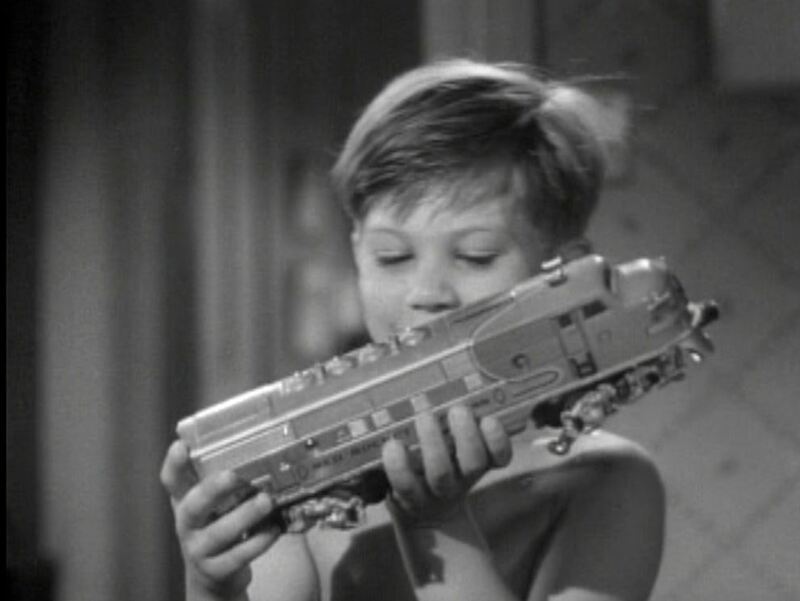 But alas, in a touching gesture only Hollywood could come up with, the kid RETURNS the train set for money to allow his good friend Steve to follow his dream building boats out in Balboa, California. As if. 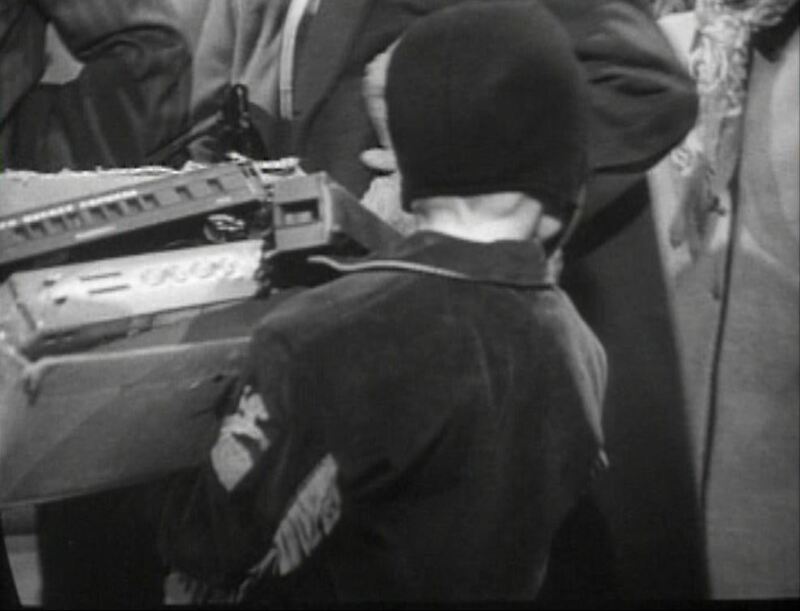 Timmy heads into Crowley’s to return the train set; Note the Lionel sticker on the box blotted out with a crayon. 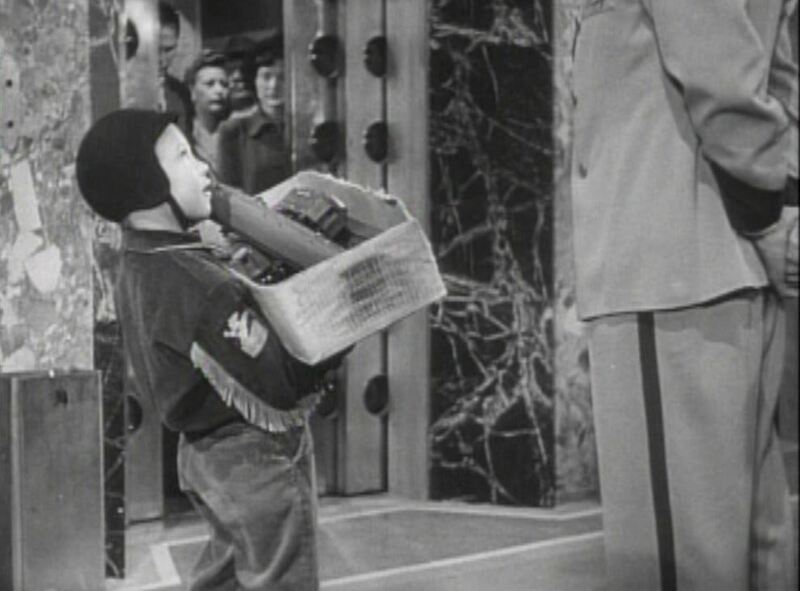 With the F3 and Pullmans looking on, Timmy’s heartfelt plea to Mr. Crowley himself does the trick and soon he is headed home with a wad of cash. Telegram! 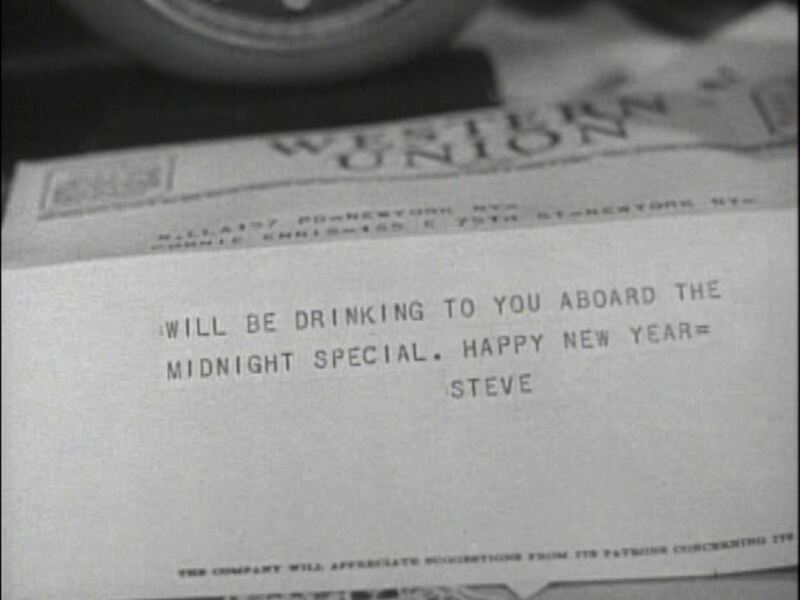 Yep, Steve is headed out to Cali and sure enough there he is nursing a gin & tonic in the club car as the passengers celebrate the New Year. 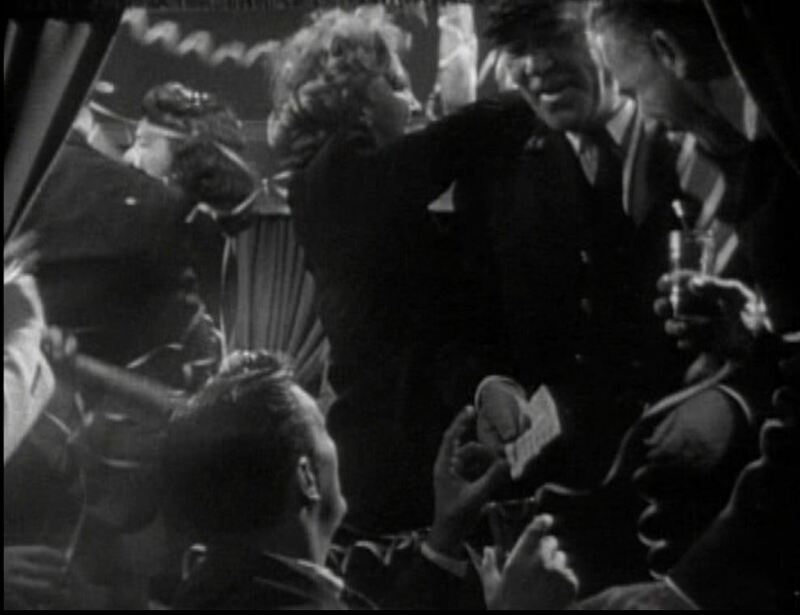 Through the wild celebration, the Conductor manages to hand Steve a telegram of his own. 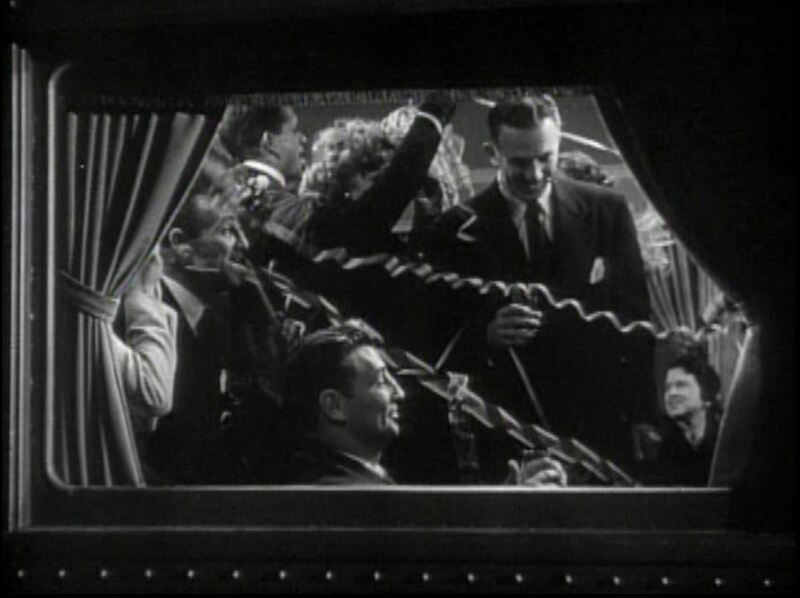 Connie and Timmy are on the train and soon they are all embracing in a vestibule. 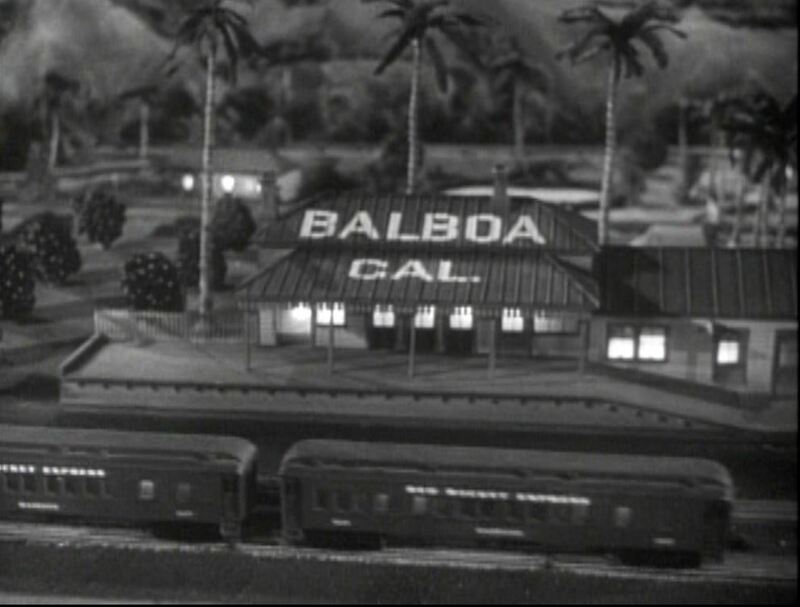 Once more the camera pulls back — this time to reveal the Red Rocket Express pulling into Balboa station. 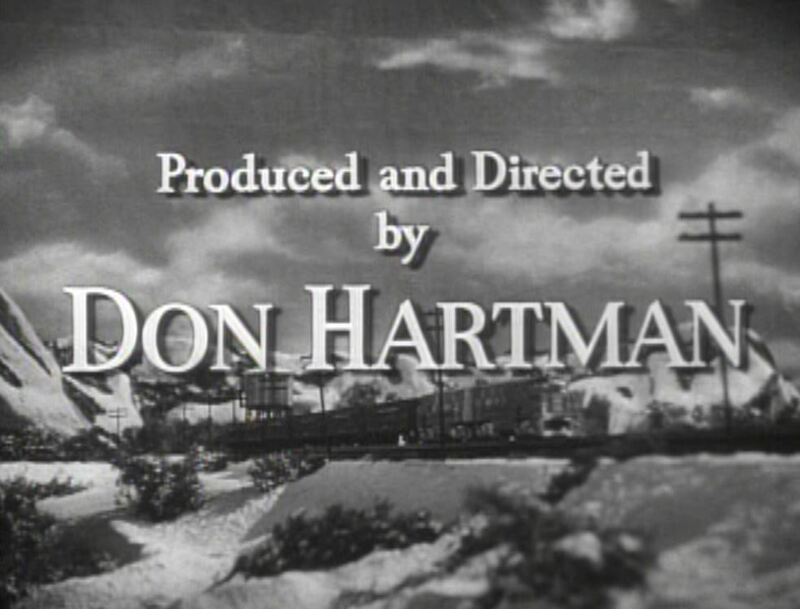 As the movie draws to a close, we get a wonderful view of still another layout constructed (apparently just for the end credits). 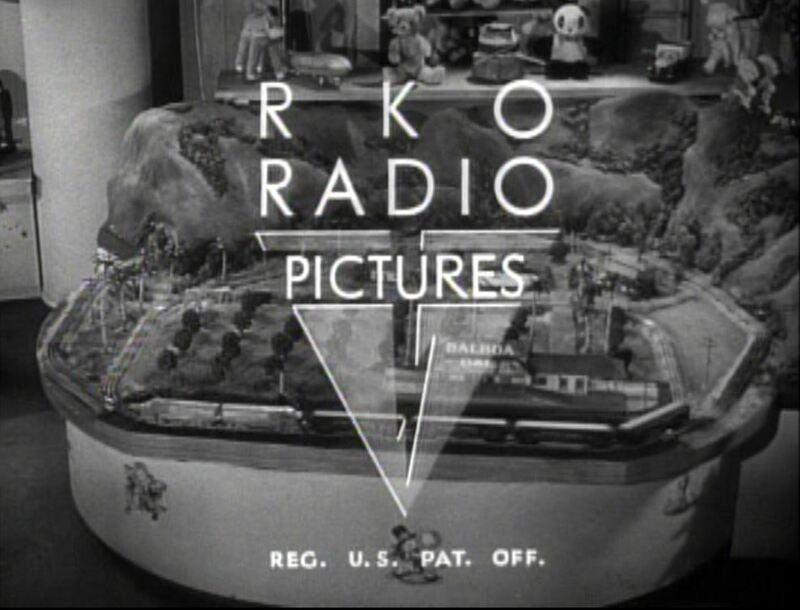 Thanks again to CTT for bringing this film to my attention. It was an entertaining 87 minutes of Christmas cheer that will take its place on my holiday shelf next to Ralphie, Rudolph and Grinch. I hope my readers enjoy it as much as I did. Merry Christmas! 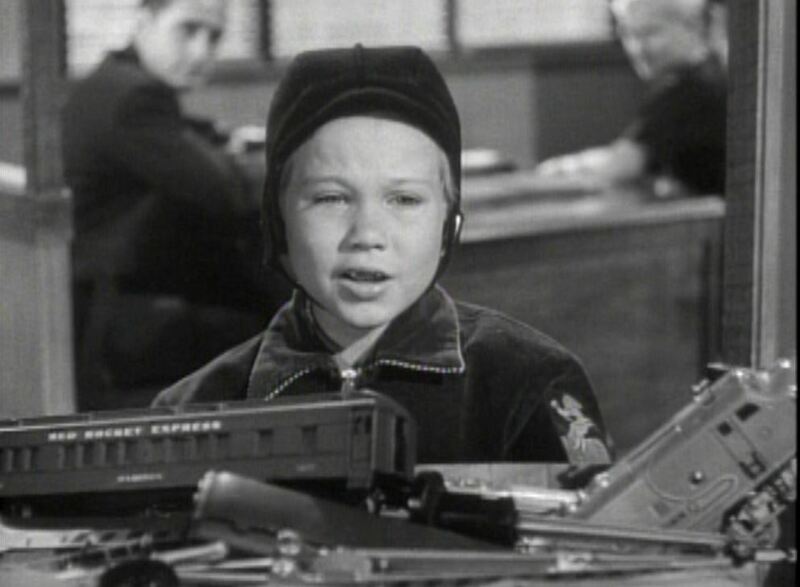 This entry was posted in Uncategorized and tagged Christmas, Classic Toy Trains, Gordon Gebert, Holiday Affair 1949, Janet Leigh, Lionel, Lionel Trains, Pullman 2625 Irvington, Pullman Sleeper, Red Rocket Express, RKO Radio Pictures, Robert Mitchum, Santa Fe Railway, Warbonnet Scheme, Western Union telegram. Bookmark the permalink. Want a challenge? 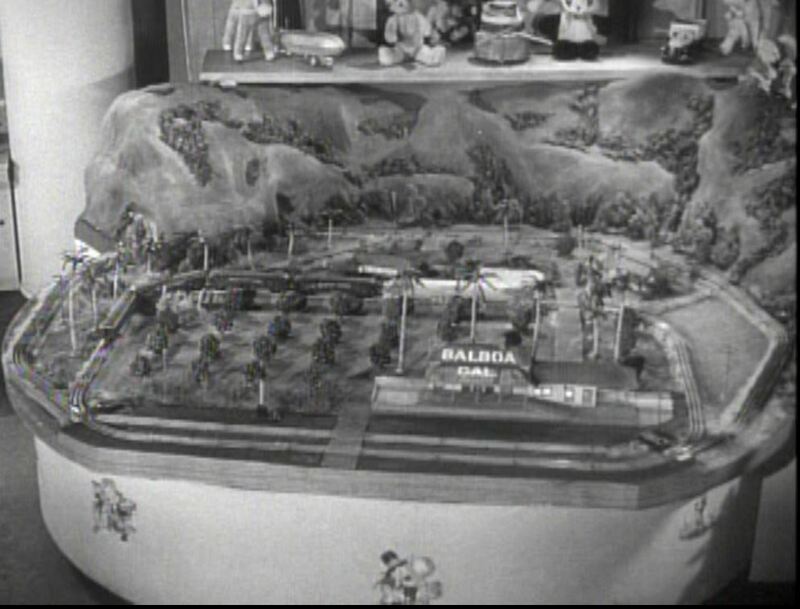 Find the 1996 USA television network remake, which, I’m told, also featured a toy train!